Galeries Lafayette believes its China operations can become a one billion euro business and the French retailer aims to have ten stores across the nation by 2025, including a new store here that soft opened Saturday and a Beijing unit. By 2025, the retailer plans to open in some of the fastest-growing cities in China, with the brand currently looking at opportunities in Guangzhou, Xiamen, Suzhou, and Chongqing, although plans have yet to be finalized. Galeries Lafayette is still a hot brand and all the developers want to work with Galeries Lafayette. The company’s Haussmann location in Paris has been especially successful in attracting and brand building amongst Chinese shoppers. The Chinese contingent accounts for half of all foreign visitors at the Haussmann store, which attracts 37 million visitors a year, according to the retailer. 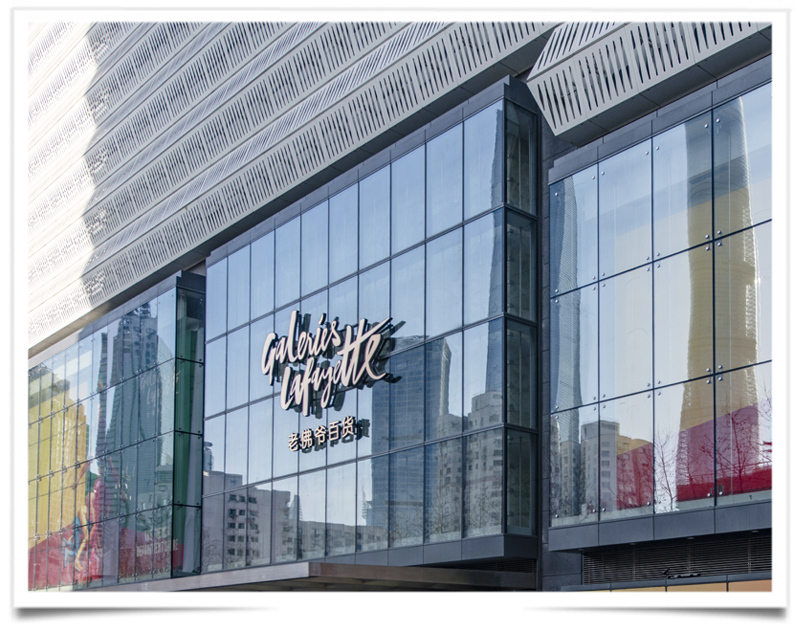 Galeries Lafayette&#039;s opening in Pudong, as opposed to Puxi, can be viewed as a turning point for the area, accelerating its development into a more diversified shopping hub. Most of Shanghai’s shopping hotspots are in Puxi, west of the river, in the Former French Concession, East and West Nanjing Road, and Huaihai Road. This entry was posted in BREAKING MODE, BREAKING NEWS and tagged LAFAYETTE by admin. Bookmark the permalink.